Deeply nourishes and repairs hair giving immediate silkiness and shininess in a unique step. Directions of use Pour the entire ONESTEP A and ONESTEP B content in a bowl and mix until a homogenous cream is obtained. Apply onto towel-dried hair. Gently comb. Leave-in for 3-5 minutes. Rinse. Style as desired. Please always refer to instructions on the pack. When to use it You have damaged hair that breaks easily. 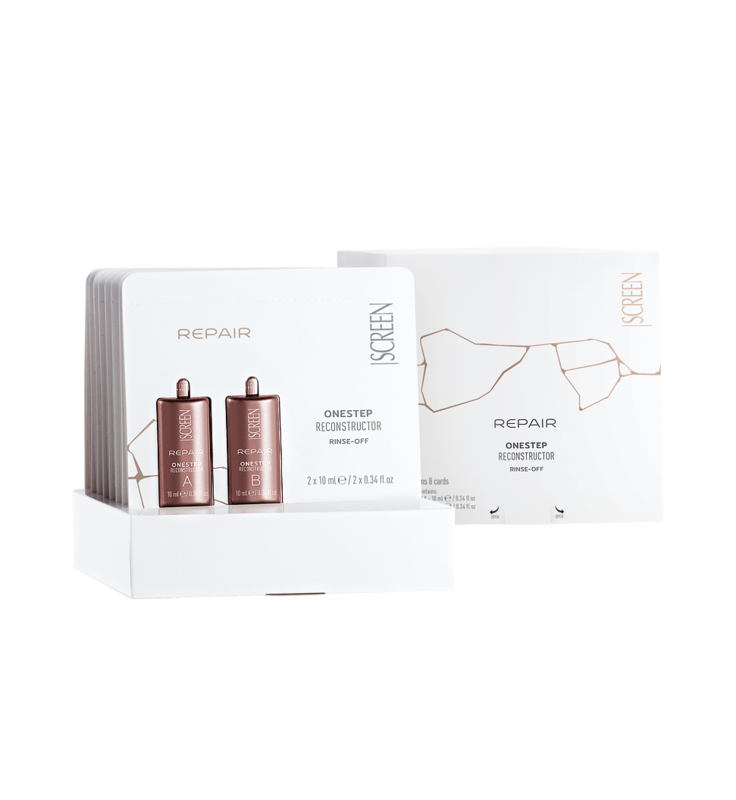 Repairs, nourishes, hydrates the hair.